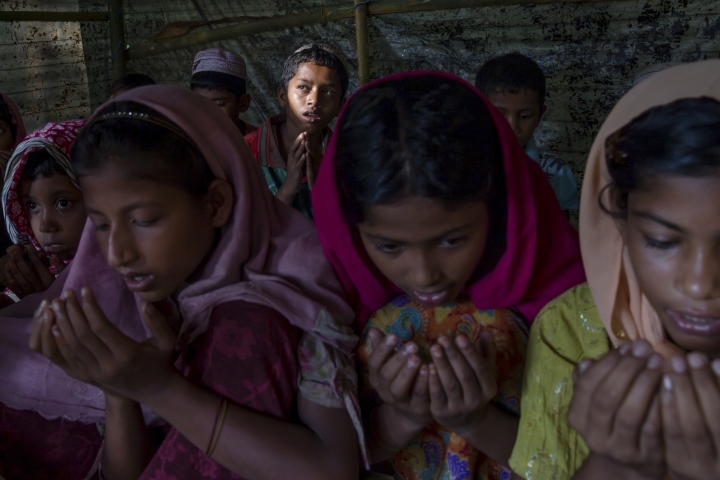 KUTUPALONG REFUGEE CAMP, Bangladesh — The young Rohingya Muslim boy recites verses from the Quran in a small, crowded tent that serves as a madrasa in the Kutupalong refugee camp in Bangladesh. Then Sheikh Ahmad lifts his hands in prayer and the tears begin to flow. 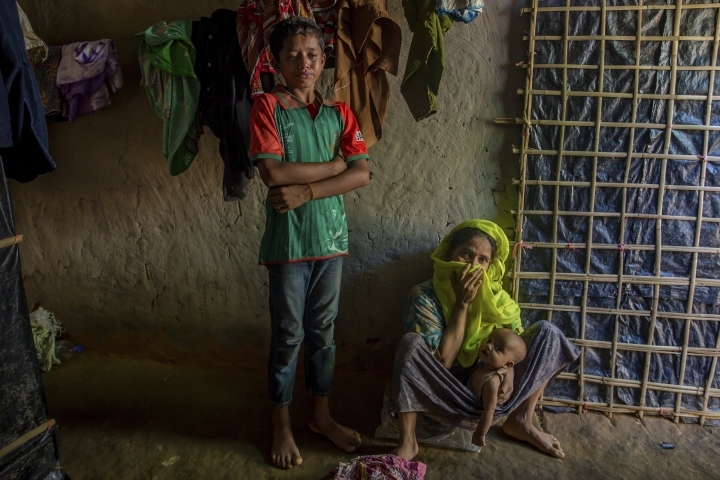 He prays for those killed in the violence that his family escaped, among the hundreds of thousands of Rohingya who have fled from Myanmar to Bangladesh over the past month. Back in his family's tiny shanty, he plays with his sisters. An Associated Press photographer asks him why he wept, and the tears seep through again. "I'm crying for my motherland," he says.